It's unclear what can cause one kei-car driver to absolutely go all HULK-SMASH on another little kei-car, but surely it must be for something big. Whatever it was, it clearly prompted them to repeatedly ram, back up, and ram again the other car what must be over 20 hilarious times. 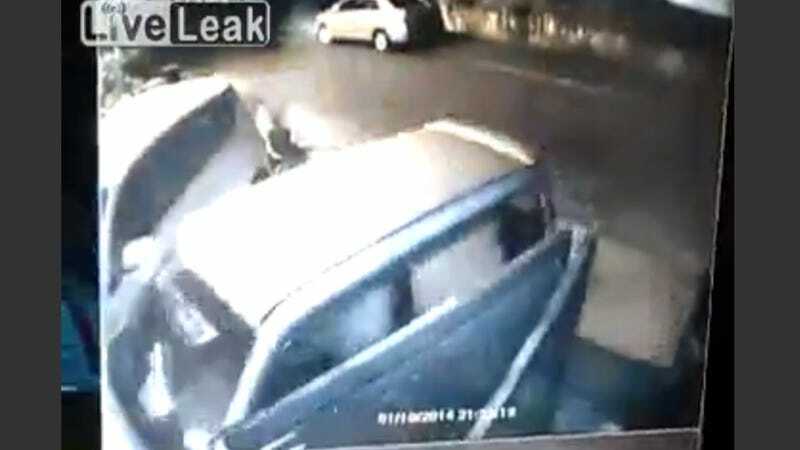 The video's a bit grainy and the angles aren't perfect, but if I had to guess I'd say this looks like a Suzuki Wagon R just wailing on a Daihatsu Move. Both are endearingly cute, and it looks like the car doing the smashing is the one getting beat up the most. The video description says it's from Malaysia, so maybe someone's Nasi Lemak didn't come as they ordered.